Whether it’s a wedfest-style wedding, an out of the box corporate event, a birthday celebration or something different – pop-up event glamping (what we love to call e-glamping) is what we do best. Just a few of you! With a queen bed in each of our 5m bell tents, a package of 5 tents is perfect for 10 glampers. With a queen bed in each of our 5m bell tents, a package of 10 tents is perfect for 20 glampers. 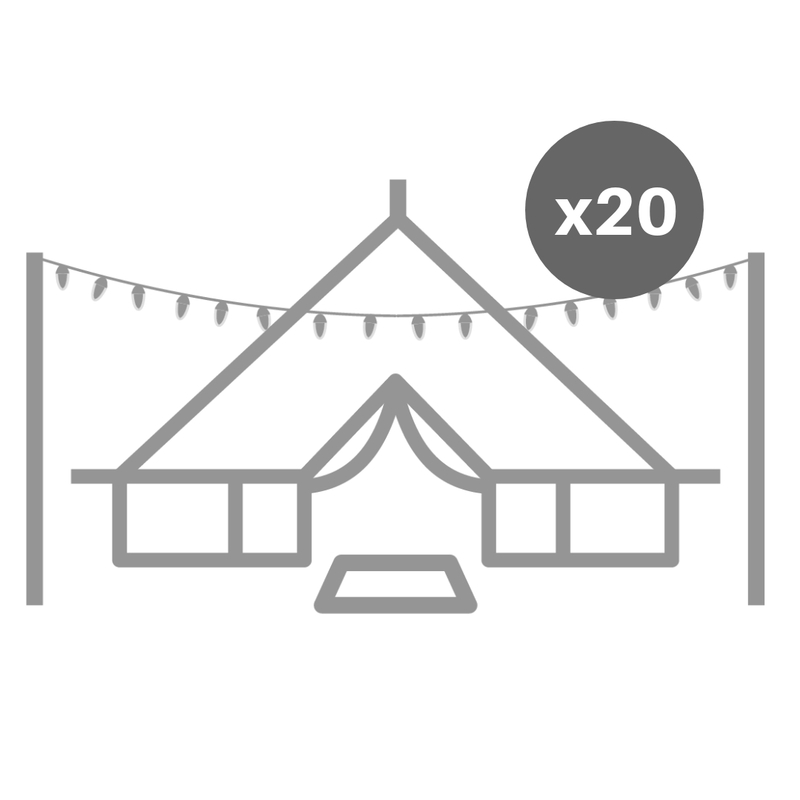 With a queen bed in each of our 5m bell tents, a package of 20 tents is perfect for 40 glampers. *Conditions Apply and are subject to availability. All our packages are completely customisable but prices listed include our signature standard styling, one queen airbed per tent with linen and are a two-night stay. Extra charges might apply for locations more than 1.5 hours from our Gold Coast base or on commercial properties with camp fees.